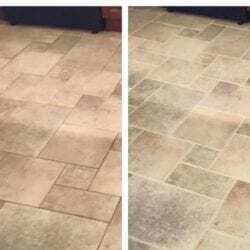 Grout Cleaning Wellington | Grout Cleaning Boca Raton | Grout Plus Inc.
Tile is a popular hard surface for floors, walls and other areas of houses. The tiles are generally easier to clean than soft surfaces, but the same is not true of the grout lines which connect the tile. Grout is porous and can harbor dirt, stains, mold and other organisms. These are difficult to get rid of without the help of a reliable professional crew. Are you looking for professionals to do grout cleaning in Wellington, FL? Do you need a cleaning firm to take care of stained or dirty grout in Wellington, Florida? We have the most professional and trusted services of their type in Wellington. Our firm has the answer for anyone looking for residential and commercial tile and grouting cleaners and restorers in or near Wellington, Florida. Our service area also includes Boca Raton, Coconut Creek, and Port St Lucie. We are family owned and operated, with necessary licenses, bonding, and insurance for the areas in which we operate. Grouting is known to be a quite porous product. If not cleaned regularly, the grouting lines can become a breeding arena for mildew, mold and all kinds of bacteria. We use our own proprietary products which are not available in stores. Our product will re-color and protect the lines of grouting in your tile floors. We have more than a decade of experience in using our methods and products. Our proprietary product will ensure that tile floors look better than new. Treated floors resist stains are easily cleaned. The product is not available in stores and is designed to permanently protect the lines in tile floors. Our cleaning products and methods work on tiles, Mexican tile, bathroom tile, and natural stone floors, as well as on marble. There is no sticky residue after our process is complete. It is safe for pets, children and others in the house or business. Marble and other natural hard surfaces lose their aesthetics over time. They can become damaged by daily traffic and wear. We have the skills and products to restore your granite and marble surfaces to their original aesthetics. The sealants we apply are the most durable available. They keep floors and countertops looking gorgeous for many years. Our products have undergone testing over thousands of jobs. We have developed our special line of innovative cleaning and sealing products to permanently re-color grouting lines. The results last for many years. Do you need reliable grout cleaning in Boca Raton? Call (561) 753-7090 today for a free estimate!